Sure enough, I copy-pasted my code from the FCC version, and it worked perfectly on Leetcode after renaming the variables. 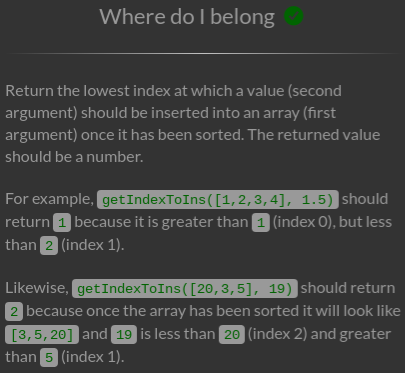 So, yeah, if it’s good enough for Leetcode, it’s good enough for me. If it’s good enough for me and FCC uses it, then FCC is good enough for me. Several of the algorithm challenges you can find in other places. A lot of them are pretty common beginner exercises (and even interview whiteboard tests).